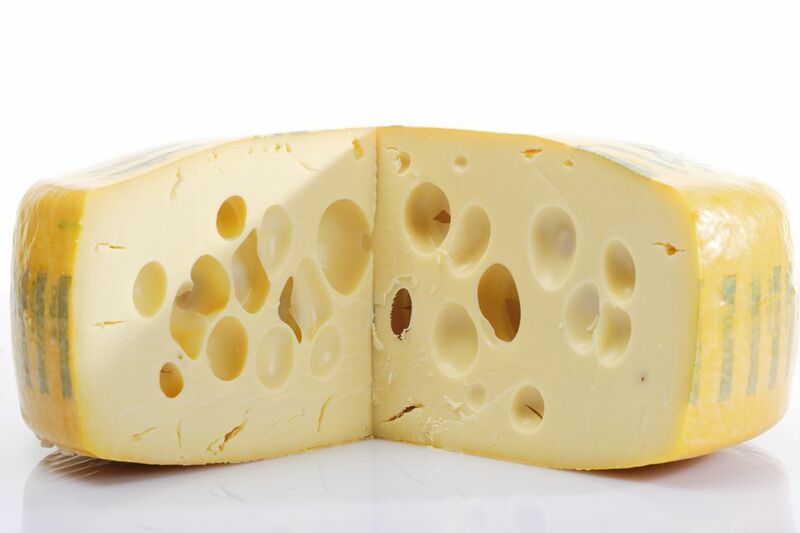 Why Are There Holes in Swiss Cheese? Now, however, this theory is being debated. Whereas William Mansfield Clark used glass cylinders and mercury to create an apparatus to capture gasses and develop his theory, Agroscope used a CT scanner, following the cheese ripening process for 130 days. The cheese-making community has believed that hay has been the culprit all along, and now they have scientific proof. Due to the modernization of dairy farms, however, Swiss cheese may not have as many eyes as it used to. As milking methods have become more automated and antiseptic, and fewer hay particles drop into the milk, the size of the holes have decreased and the number of holes in Swiss cheeses, such as Appenzeller and Emmental, have declined. You can read more about this discovery on CNN's website in the article, "What Makes Swiss Cheese? You Don't Have the Hole Story."